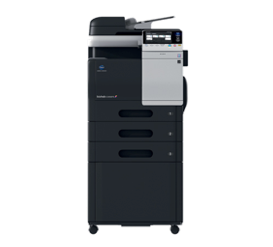 Busys.ca is a commercial printer supplier located in Toronto and Mississauga Ontario specializing in high quality multifunction printers and copiers. 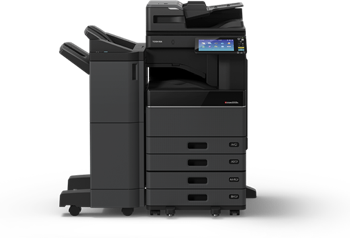 We partner exclusively with industry leaders like Toshiba, Konica Minolta, and Canon to ensure our collection is of the highest quality. 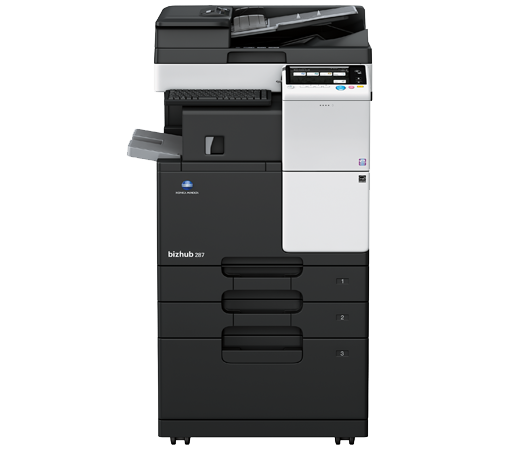 All Multifunction Printers And Copiers are available now. Replacing printer paper every few days can break your workflow and lower productivity. 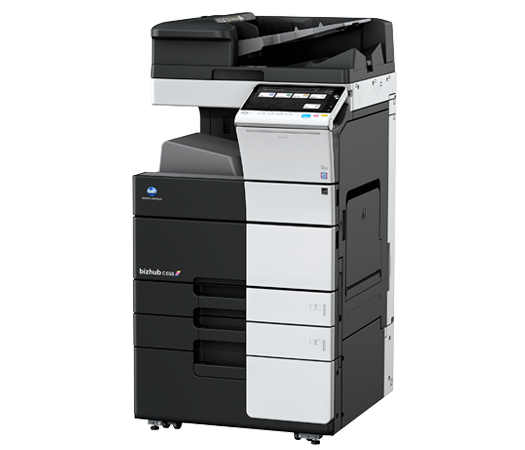 Our all in one multifunction printers and copiers have expanded capacity up to 3,500 pages meaning fewer refills. 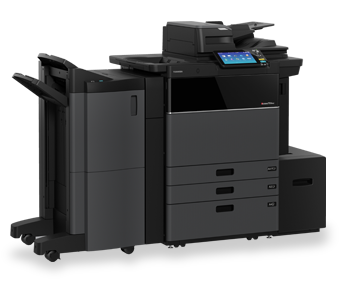 Our printers can also keep up with your workload by offering up to 95 pages per minute output. 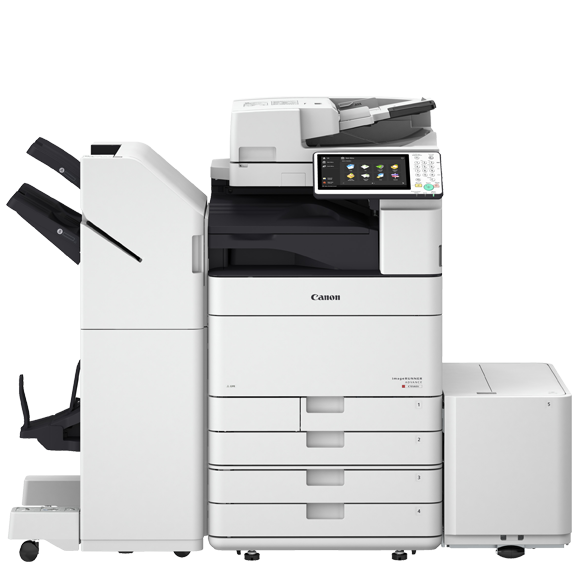 They are capable of printing on a range of paper qualities, from standard office paper to professional grade high-GSM parchments. Using the latest in laser print technology, your projects will come out looking perfect every time. 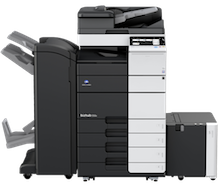 Whether you need black and white or full colour printing, Busys.ca is passionate about finding the right printer for your Toronto office. 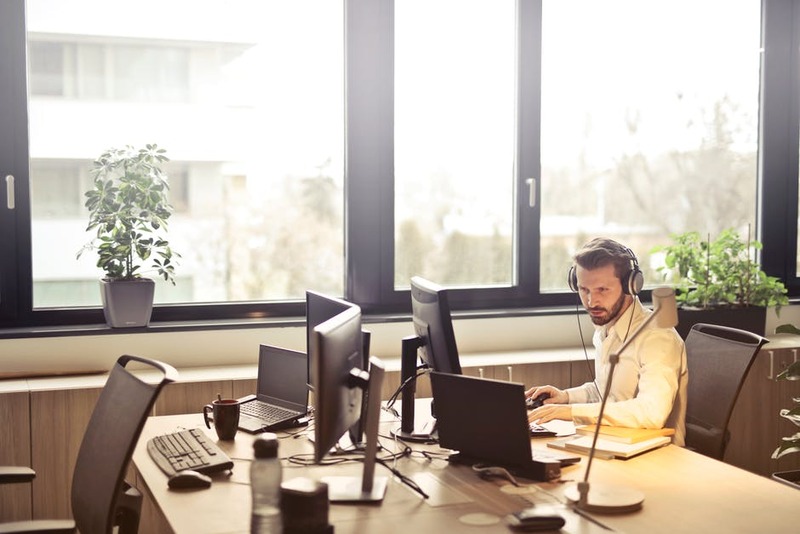 Connectivity in the office is now crucial to a productive work environment in Ontario. 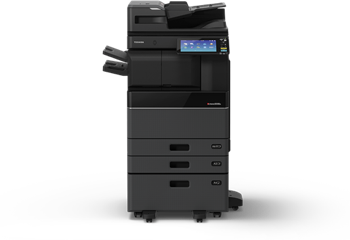 Our multifunction printers and copiers offer true wireless connectivity, allowing you to print from anywhere in the office instantly. 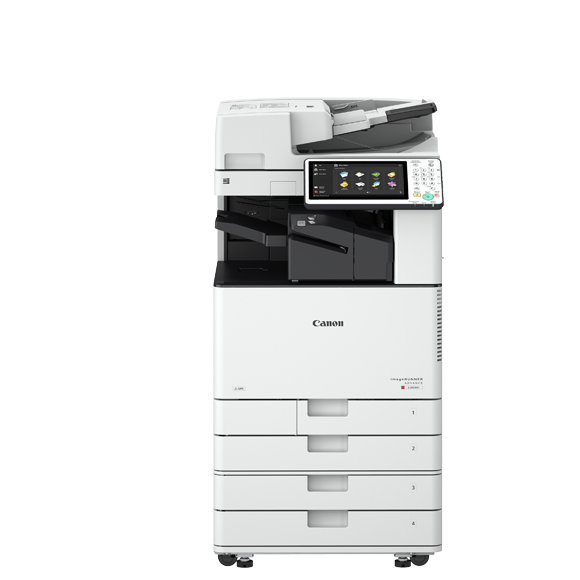 With built in AirPlay, Plug & Print, and NFC reading capabilities, you’ll be able to print anything you need from any device at the click of a button. Wifi Direct and QR Code Connection making connecting your mobile device as simple as point and click. 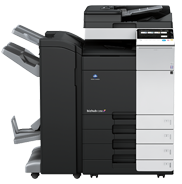 Our multifunction printers and copiers also integrate with many 3rd-party softwares for business, law, medical services and engineering. Busys.ca knows that seamless connectivity between services is important to our clients. 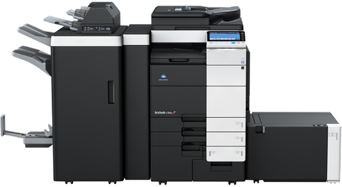 That’s why we work with them to compare all our multifunction printers and copiers to find the one that suits their needs. Deep customization is an expected feature of any technology in the modern office. 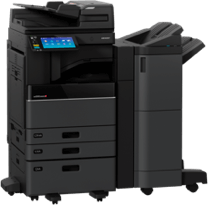 Our multifunction printers and copiers offer more personalisation options than ever before to give your business a truly bespoke solution. Busys.ca customers enjoy enhanced integration with custom connect app marketplaces, which offer a range of productivity boosting programs to get the most out of your machine. You can select the applications that best suit your workflow, so there will be nothing to slow you down. 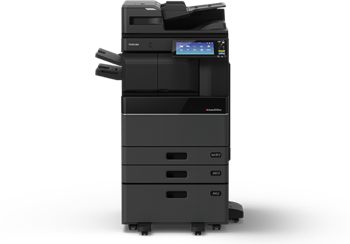 Many of our multifunction printers and copiers also offer touch screen and menu customization. Make the machine work for you with contrast controls, button structure customization, and more. 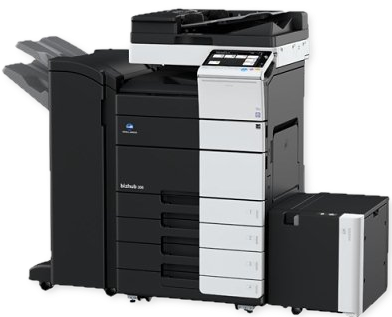 From Toronto to Mississauga, our multifunction printers and copiers will do whatever our customers need them to. Enhancing productivity is essential in any office in Ontario, whatever your industry. 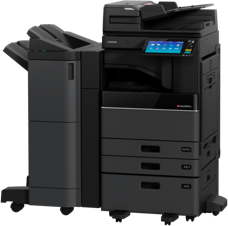 Busys.ca multifunction printers and copiers offer a range of productivity boosting features that give your business an edge. Sufficient onboard memory is necessary to ensure correct functioning of any digital technology. 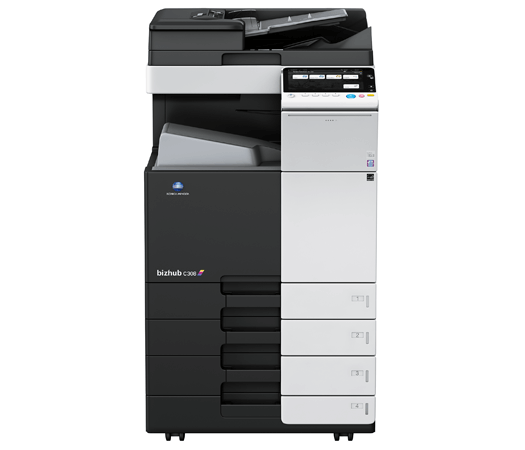 Our multifunction printers and copiers offer the highest level of RAM and onboard memory ever built into an office printer, meaning faster load times and smooth navigation. 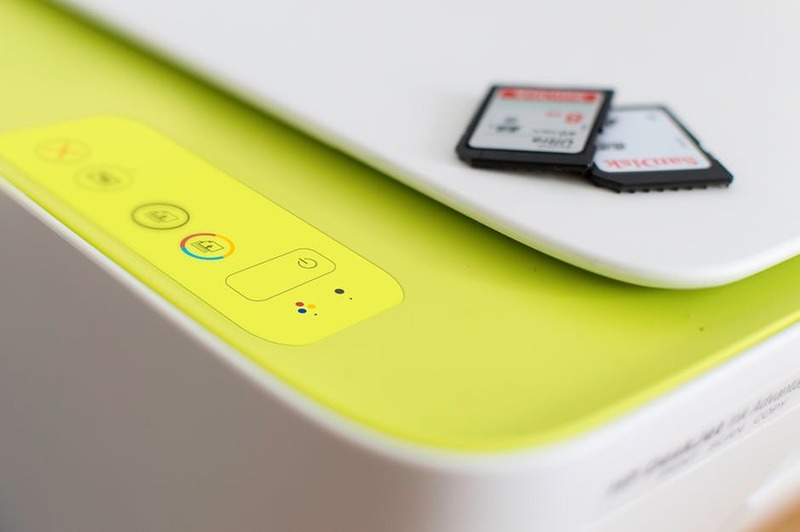 Busys.ca printers and copiers also come with up to 320GB of built in HDD, allowing you to store thousands of documents and files directly on the printer. We know our customers don’t have time to worry about formatting and stapling. 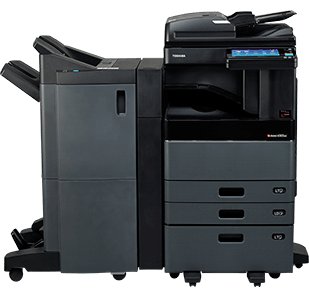 With a Busys.ca multifunction printer and copier, those tasks are a thing of the past. Built in blank page omission, collating and stapling means you can spend more time producing and less time on administration. 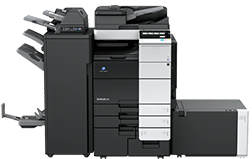 Purchasing a new multifunction printer and copier for your office can be a significant investment both in time and money. Our dedicated Busys.ca team will walk you through every step of the process. From identifying your exact needs and desired capabilities, to matching you up with your perfect machine and facilitating installation and set up. Our unparalleled customer support service will ensure you are completely satisfied with your new purchase from the beginning. Our team will be on hand to assist with any questions or trouble shooting you might have. 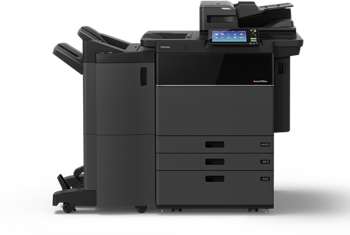 If you need more flexibility, all of our machines are available for lease with attractive rates and terms, perfectly tailored to every unique company. At Busys.ca, we value our customers’ time and productivity above all else. 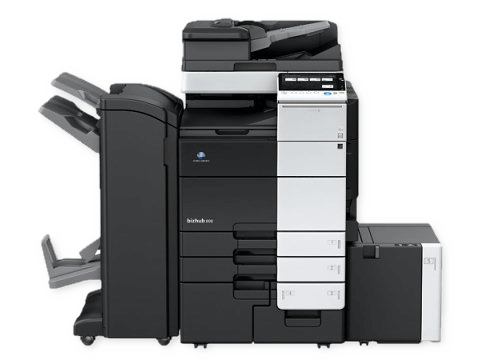 That’s why we’ve included toner replacement, warranty, service calls, parts and labour in our “Cost Per Print” service agreement so you never have to worry about toner or maintenance again. We know that being able to accurately reproduce what you’ve created on paper onto your computer is an important part of many professions. From graphic design to architecture, high quality and accurate scanning is essential to your business. Our multifunction printers and copiers offer high definition scanning capabilities, meaning you’ll have a perfect copy on time, every time. With ultra high colour gamuts, gold standard dot density and DSDF/RADF scanning, your project will be accurately and quickly scanned with laser focus. 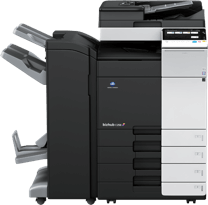 We have spent years becoming the most trusted name in multifunction printers and copiers in the GTA. 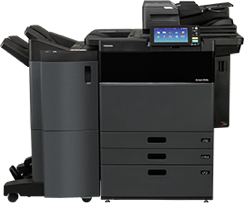 When it comes to multifunction printers and copiers in Ontario, there is only one name – Busys.ca. Call us today.